Although its meny kindly caters to those watching what they eat—a nut burger made with brown rice, cashews, and walnuts, for instance, or smoked Banyan tofu with sweet barbecue sauce—generally speaking, Beaver's is not where you go for a healthy meal. Beaver's is where you go to have fun with your food. Since opening in 2007, Beaver's has emphasized unexpected twists on comfort food and cocktails. Those who've been following Houston's food scene for a while will recall that some of the city's most influential chefs, bartenders, and operators got their start at Beaver's: Bobby Heugel, Kevin Floyd, Ryan Rouse, Jonathan Jones, and Dax McAnear, just to name a few. Seven years later, Beaver's still feels as fresh and relevant as ever. 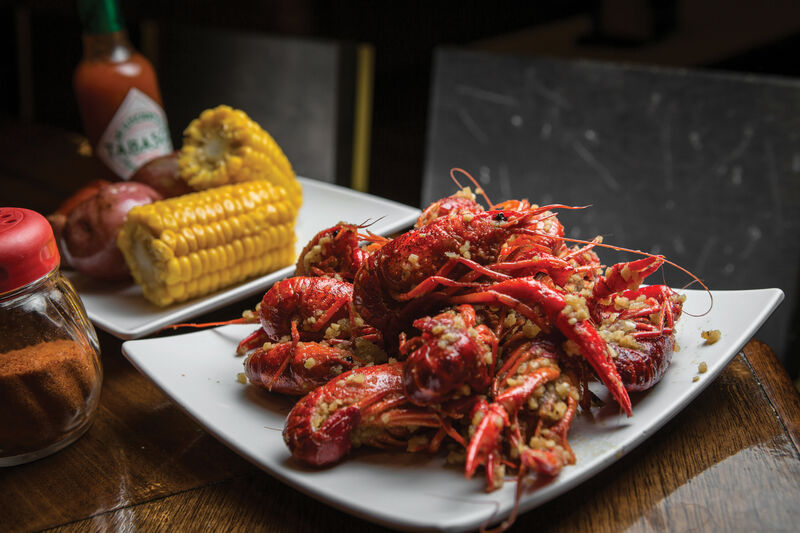 This is a triumph in and of itself in a city like Houston, where attention spans—of both restaurant patrons and owners—are short and easily swayed. Picking just one dish off the menu that sums up Beaver's is tough, so for now I'll just go with my current favorite: mac étouffée. Beaver's has long had one of the better mac 'n' cheese bases in town, which it serves on its own with just a crispy breadcrumb topping or topped with a rotating list of interesting ingredients. Right now, those rotating options include a mac 'n' cheese topped with Beaver's noteworthy barbecue, one topped with grilled chicken and garden pesto, and one topped with roasted pumpkin, sweet potato, and sausage. But it was the mac étouffée that caught my eye last week. 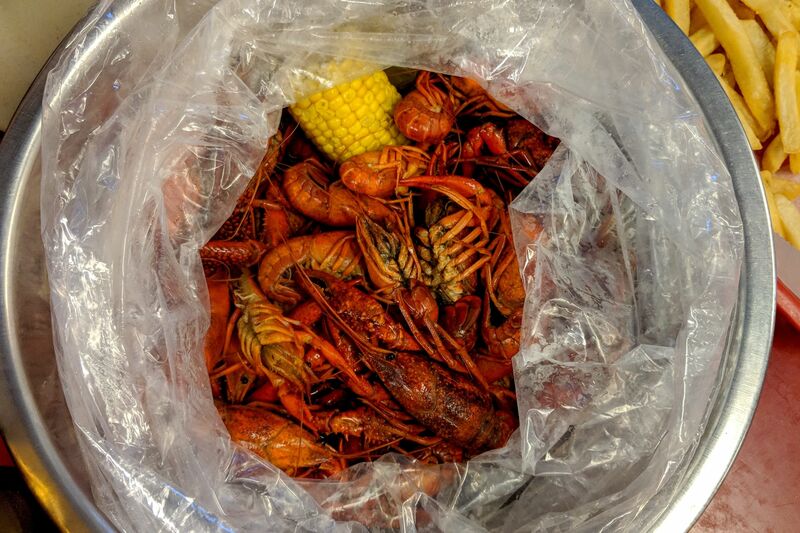 Beaver's could very well make you rethink the idea that crawfish étouffée needs to be served over rice. 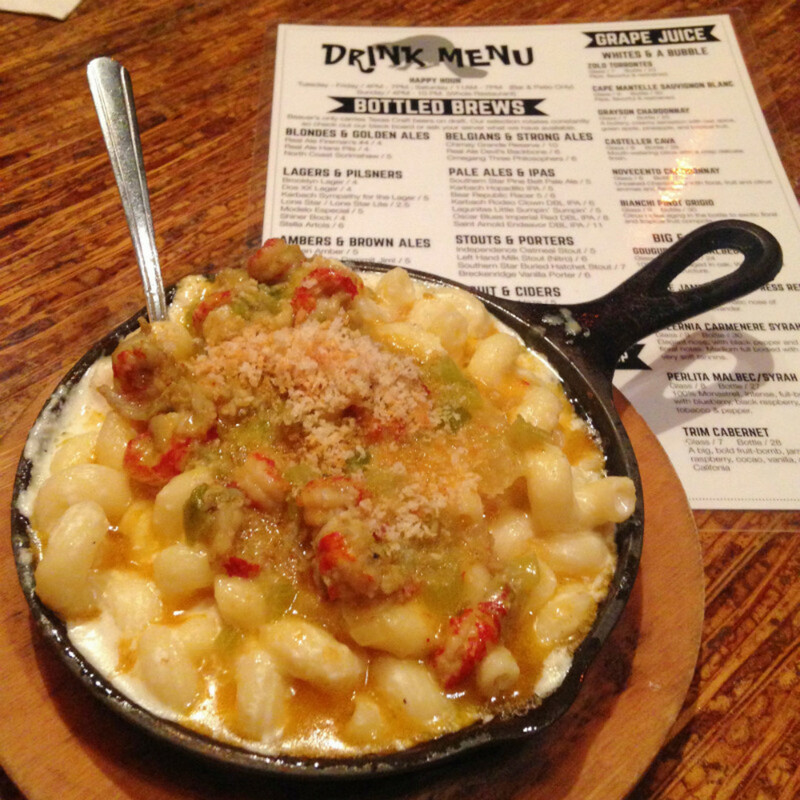 Hell, if gumbo can be served over potato salad, why not étouffée over mac 'n' cheese? It's a magical, if life-shortening, pairing—not to mention an argument for one of the few instances in which seafood and cheese are simply meant to be with one another. The plump curlicues of crawfish tails are mirrored by the springy cavatappi pasta, both coated generously with cheese and the garlicky cayenne reduction in the étouffée. 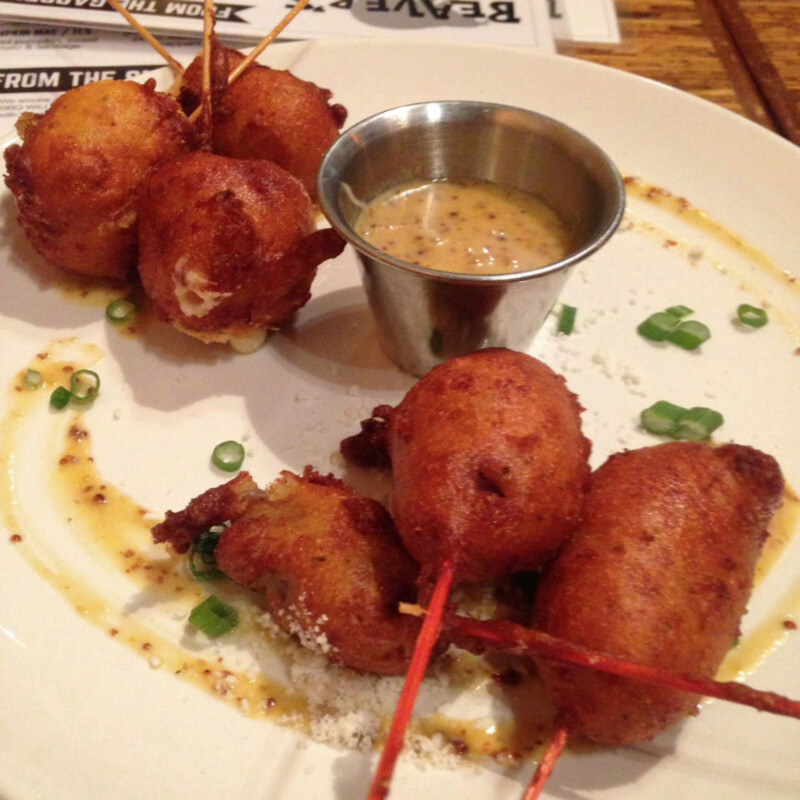 We stupidly ordered the mac étouffée as an appetizer along with a plate of antelope corn dogs in a sweet, fluffy cornmeal batter—I mean, how do you pass those up?—and so found ourselves lacking stomach space for dinner last week. 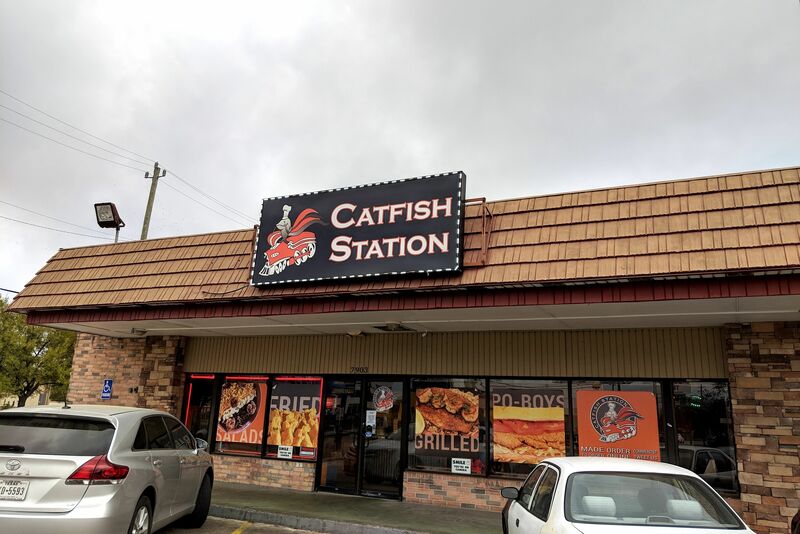 No matter: Beaver's eagerly split an order of its mammoth chicken fried steak into two smaller portions, though even then I still couldn't finish the battered steak and buttery potatoes on the side. In the future, I think, this is the way to go with Beaver's CFS. Although I'll still be hard-pressed to choose just one appetizer. The green chile pimento cheese risotto tater tots with bloody mary dipping sauce are calling my name...and the roasted brussels sprouts dip...and the duck taquitos. 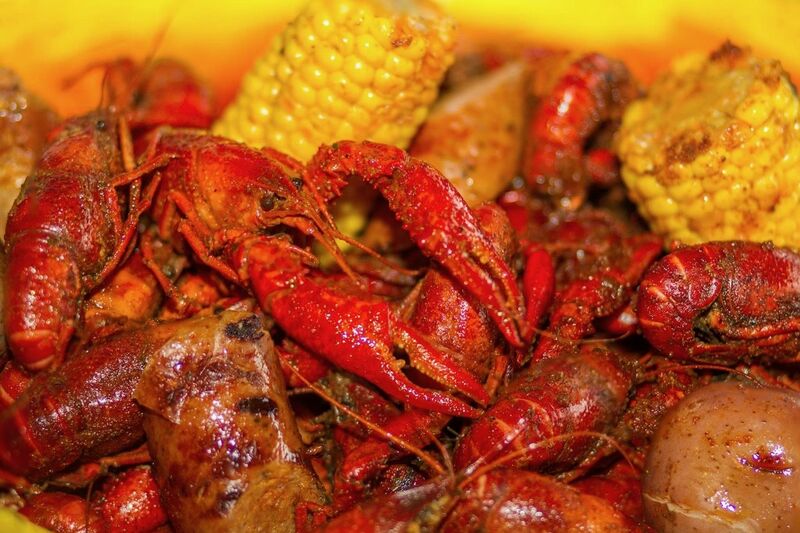 How Do You Like to Eat Crawfish?